HARRISONBURG, Va., Dec. 30, 2010 - Senior guard Dawn Evans (Clarksville, Tenn./Northeast) scored 15 points to lead five Dukes in double figures as James Madison (7-5) crushed Western Carolina (3-9) 82-47 in women's basketball Thursday evening at the JMU Convocation Center. The Dukes took a 5-4 lead on a layup from senior center Lauren Jimenez (North Bergen, N.J./North Bergen) 4:58 into the game and never looked back. The basket started a 28-10 run as JMU took a 31-14 lead into halftime after holding the Catamounts to 3-for-24 (12.5%) shooting. Proposed new name for WWCU 90.5 FM. CULLOWHEE –– A group of prominent Western Carolina University radio alumni are pushing the university’s leadership to put its radio station WWCU Power 90.5 back in student hands. Led by Mike Jackson, owner of Creative Audio Productions in Charlotte, the alumni professionals are petitioning the school’s administrators to turn the station back over to a student general manager and move from Classic Rock to a Top 40 setup to better reflect student music tastes. The university, at least so far, is having none of it, so the alumni have responded with a Facebook campaign that includes a radio demo, official correspondence from administrators, and lots of impassioned pleas. Will WCU ever understand the importance of “local community”? "We didn’t have that small town thing in Cullowhee, where I grew up," wrote Bill Graham, cofounder of the TuckaseegeeReader in an opinion column today that takes Western Carolina University to task for its corporate-centric policies. Old Cullowhee is downtrodden now, dealt successive blows by changes to roadway patterns, economic instability and the corporatization of college life up the hill. With those injuries came insult: when WCU decided it should ride to the economic rescue of a village in distress it saddled up and galloped 15 minutes north, to Dillsboro. The final flights arrived Wednesday, Dec. 29, and students went early to rehearsal at the Sheraton Fairplex, an indoor rehearsal venue booked after rainy conditions prevailed in Anaheim on Wednesday, Dec. 29. When I met with Coach Bobby Moranda, he was in the process of picking out new baseball cleats for his players. ASHEVILLE — Down the stretch of a mountain rivalry Tuesday night, the veteran team on a long home winning streak made more plays than a young squad on its way to a sixth straight road loss. The result was UNC Asheville’s 85-79 overtime win against Western Carolina at sold-out Justice Center. The Bulldogs (6-6) overcame a late deficit in regulation and took advantage of WCU’s foul miscues to claim their 13th straight victory at home over the past two seasons. The Catamounts (4-10) shot 62 percent from the floor in the second half but couldn’t close out the game at the foul line to drop to 0-6 in December, all away from home. CULLOWHEE, N.C. — Sam Martin scored 20 points tonight to lead the CSU women’s basketball team to a 69-53 victory over Western Carolina. The Rams (7-4), playing for the first time in eight days, led 34-33 at halftime. The Catamounts (3-8) scored the first five points of the second half to go ahead 38-34, but the Rams responded with an 11-3 run to take a 45-41 lead. Amber Makeever’s 3-point basket ended the run. 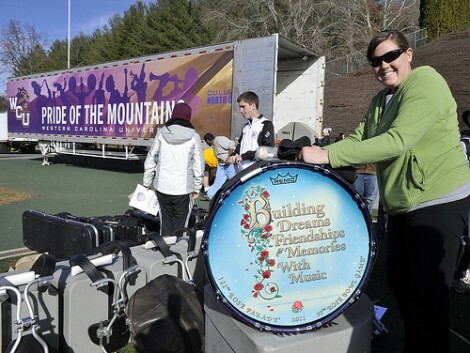 SYLVA, N.C. — Marching bands from two of North Carolina's public universities are hitting the road to perform in the Rose Parade on New Year's Day. Hundreds of members of the Western Carolina University and North Carolina Central University marching bands were scheduled to leave Tuesday. The bands are among 22 from as far away as Japan to march in the annual, nationally telecast parade in Pasadena, Calif., on Saturday. "I can't wait to see the faces on these kids when they turn down Colorado Boulevard" in Pasadena, Western Carolina athletic bands director Bob Buckner told the Asheville Citizen-Times. The band from the university high in the Appalachian Mountains sought a Rose Parade invitation after winning the John Philip Sousa Foundation's 2009 Sudler Trophy, given yearly to the country's top college band. Western Carolina football coach Dennis Wagner just completed his third season with the Catamounts, compiling a 2-9 overall record and a 1-7 record in the Southern Conference. Wagner is 7-27 overall and 3-21 in the Southern Conference. He took time last week to answer questions about the state of his program. Following are excerpts from the interview. Cullowhee, N.C. - Western Carolina returns to action on the men's basketball hardwood on Tuesday night, making the 55-mile trek across snow-covered hills to face mountain-rival, UNC Asheville, at 7:00 pm at UNCA's Justice Center. The game will be locally televised on WMYA-TV, My40 out of Asheville with a 6:30 pm air time. CULLOWHEE, N.C. - Western Carolina women's basketball (3-7) returns home Tuesday to host a non-conference match-up with Colorado State (6-4) at 7 p.m. in the Ramsey Center. Western Carolina is still looking for a home win for the 2010-11 season ... All three Catamount wins have come on the road ... WCU had an 0-5 record at home this season ... Western Carolina's last home win came with a 51-49 overtime win over Southern Conference rival Chattanooga on February 22, 2010. Jawan Simmons, who wowed many around CNY with his prowess as a quarterback in his career at Nottingham is taking his talents to Western Carolina. Simmons says he chose Western Carolina over MTSU because they showed him the most "love" throughout the recruiting process, and they tell him he will play quarterback and will have a chance to start for four years. Middle Tennessee State is a FBS school and Western Carolina is FCS, that doesn't matter to Jawan, who has completed a long journey getting eligible and getting the respect he deserves earning a division one scholarship. Simmons couldn't contain his excitement, and his hard work has paid off, getting to enjoy the moment in front of his family and friends at Nottingham. I want to take this opportunity to thank you for your support during the 2010 season. Our home crowds and the Purple Zone pre-game festivities created a great game atmosphere for our recruits, players, and fans. Your support on the road this season was tremendous and at times better than the home team’s crowd. The 2010 season was disappointing to our staff and players. Our expectations were to have a winning season and be competitive in every game. I truly believe our players played hard and never gave up on the program or themselves! Even though our record was disappointing, we continued to build the program and build the character of our players on and off the field. When our staff arrived, we inherited a team on academic probation. Two years later, our team GPA is over 2.85 and we have had our best Academic Progress Rate (APR) ever in the football program’s history. Western Carolina Football will stay the course and continue to implement our plan. Building this program into a winner will continue to take hard work and commitment from our staff and players. We must continue to challenge ourselves and reach our expectations. Having a winning season is our first goal, but maintaining and being consistent year after year is critical. When this is accomplished, getting the SoCon championships will come. As was announced following the 2010 season, I will be serving as the Offensive Coordinator as well as the Head Coach next season. I’m excited about this decision and can’t wait to get started. We will be more productive on offense next season. Offensive points through touchdowns and field goals must improve. Scoring in the red zone will be stressed. Reduced turnovers will be critical to our success and keep our defense off the field and out of bad field position. I have made a few staff changes and will continue to reorganize these duties. We must be efficient with our preparation and challenge our players to execute the details of their assignments. The lack of success in 2010 will not deter us, but rather motivate us to success in 2011! It is very important for us to continue to build depth and experience through recruiting. The past two classes have been in the top five recruiting classes in FCS football. 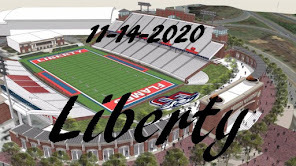 In this 2011 recruiting class we will upgrade our talent by adding six to eight transfer students who will compete immediately with our returning players. We will continue to recruit high school players, probably eight to ten from the states of North Carolina, South Carolina, and Georgia. The immediate help in this class must come from three to four junior college offensive linemen and two to three junior college defensive linemen. We will be conducting spring football from March 15th through April 15th. Meetings will be from 3:30-5:00pm, Monday, Wednesday, and Friday, and practice on the field from 5:15 to 7:15pm on the same days. Because of surgeries and lack of depth in the defensive and offensive line, we will not be having a spring game. We will use our time to work on fundamentals and techniques. Limited scrimmages will be held on Fridays during spring practice. With 75 returning players and 45 lettermen in that group, we have a great nucleus to build this team around in 2011. We must protect our home turf. Our players and staff must understand and believe this. Our schedule next season is set up for success with six home games and five away games. I expect this team to be much more mature and handle the pressure of playing on the road. There is no doubt that the SoCon is the most competitive conference in FCS, but we are excited about the challenge. One game at a time we will build a program that all Catamounts can be proud of. Again, thank you for all of your support and I look forward to seeing you in the stands at E. J. Whitmire Stadium next fall. View PHOTOS from the road. Watch VIDEOS by band members, showing the trip through their eyes. 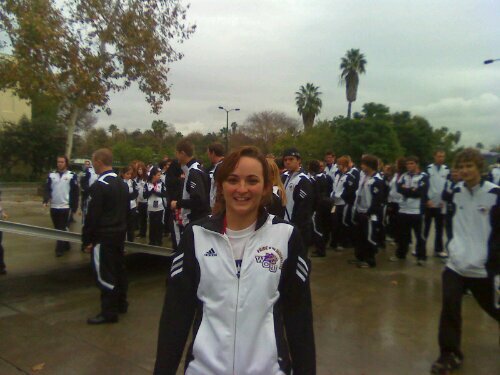 See PROFILES of band members and what it took to prepare for the Rose Parade. Get info about the LIVE WEBCAST of the band's performance at Bandfest. Read STORIES of how Pride members raised thousands of dollars to be able to make the trip. Learn how you can still help SUPPORT the "Pride to Pasadena" effort. 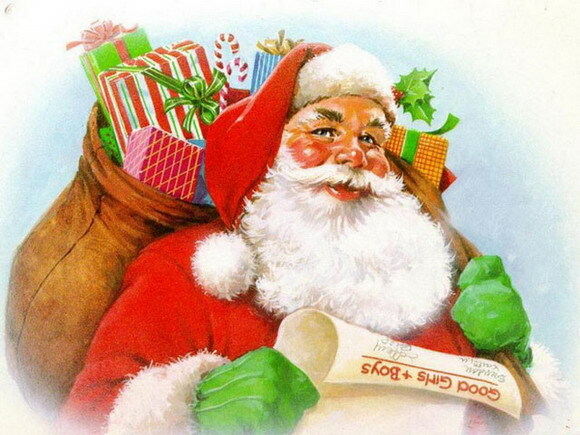 Get info about the LIVE BROADCAST of the parade (11 a.m. EST New Year's Day). Read features about the band's directors and other band TRIVIA. Share your COMMENTS and well-wishes with the band and other fans. DeKALB, Ill. - Brad Ohrt, who has served as head strength and conditioning coach at four institutions during a 15-year coaching career, will take over the same role at Northern Illinois, new head football coach Dave Doeren announced Monday. Ohrt comes to NIU after three seasons at Western Carolina in his second stint at the school. He spent the 2007 football season on the strength staff of the Miami Dolphins and previously served as head strength coach at Western Kentucky (2005-07) and Louisiana-Lafayette (2002-05). If it seems like Western Carolina men haven’t played many basketball games at home this season, that’s because they haven’t. By New Year’s Day last season, WCU had played six games in the Ramsey Center. This winter, they’ll have played just two. BOONE, N.C. Western Carolina women's basketball (3-7, 1-2 SoCon) dropped a road contest to Southern Conference rival Appalachian State (7-3, 2-1 SoCon) 65-50 Monday at the Holmes Center. The loss halts a two-game winning streak for Western Carolina and pushes Appalachian State's home winning streak to 12. The Catamounts were led by Emily Clarke who had 13 points in the contest. With three made three pointers, Clarke moves into third place, with 127, for made three pointers in the Catamount record books. SPARTANBURG, S.C. - The Southern Conference today announced its Academic All-Conference team for the 2010 fall season. A total of 345 student-athletes, representing all 12 Southern Conference institutions, were named to the team. All toll, Western Carolina placed 24 student-athletes on the Fall Southern Conference Academic All-Conference team. Women's soccer placed the most on the team with seven. Cullowhee, N.C. - Western Carolina senior guard Mike Williams was today listed among a national list of 66 candidates for the 2011 Bob Cousey Award announced today by the Naismith Memorial Basketball Hall of Fame in Springfield, Mass. The annual award, named for Hall of Famer and former Boston Celtic Bob Cousy, recognizes college basketball's top point guard. Williams currently leads the team - and ranks fourth in the SoCon - with a 15.3 point per game average, having scored in double figures in 11 of the first 13 games on the season. His average of 3.9 assists per game ranks fifth while his 2.3 steals per game rank third amongst the conference leaders entering the Christmas break. BOONE, N.C.- After suffering a tough one-point loss at the hands of Southern Conference foe Furman Saturday afternoon, Appalachian State University women's basketball looks to rebound, as the Mountaineers host Western Carolina Monday, December 20. The contest between the two teams is set to tip off at 7 p.m. from the Holmes Center. Cullowhee, N.C. - Western Carolina's final game of 2010 - a road trip to mountain-rival UNC Asheville - will be televised locally, live on WMYA-TV, My 40 out of Asheville on Tuesday, Dec. 28. Tip-off from UNCA's on-campus Justice Center is scheduled for 7:00 pm. The pregame show will begin immediately following the local news on WLOS-TV at 6:30 pm on its sister station, WMYA. Jack Connors will handle play-by-play duties with Scot Powell - father of former WCU women's basketball standout, Lauren Powell - as the color analyst and Tiffany Ervin as the sideline reporter. DAYTON, OHIO — Chris Wright scored 30 points to lead Dayton over Western Carolina 71-60 on Saturday night. Wright, the Flyers' leading scorer with 12.3 per game, was 10 of 13 from the field and 10 of 12 from the free-throw line against the Catamounts (4-9). Dayton (8-3), which outrebounds its opponents by a plus-6.1 margin, won the battle of the boards 41-30 against Western Carolina. The Flyers scored 34 points in the paint and 21 off of 14 turnovers. ELON, N.C. – Despite erasing a 10-point deficit to take a one-point lead in the second half, the Elon University women’s basketball team dropped its Southern Conference home opener on Saturday afternoon, Dec. 18, as the Western Carolina Catamounts handed the Phoenix a 74-64 setback inside Alumni Gym. ELON, N.C. Redshirt sophomore Janae' McKinney had a career-high double-double, 19 points and 12 rebounds, to help lead Western Carolina women's basketball (3-6, 1-1 SoCon) to a 74-64 win over Elon (5-4, 0-2 SoCon) Saturday in Alumni Gym. The Catamounts have won back-to-back games and enjoy its first winning streak of the season, after defeating Georgia State, 51-37, on December 11. The Flyers are looking to bounce back from Saturday's tough road loss at the hands of Old Dominion. Dayton is led by senior Chris Wright averaging 12.3 points and 8.9 rebounds a game. After a slow start to his junior season, Chris Johnson has come on strong as of late. Johnson has scored in double figures in three of the last four games, including scoring a season-high 24 points against Old Dominion. Daily Catamount - Go WCU Catamounts Basketball! Western Carolina Basketball by Daily Catamount - Go WCU Catamounts Basketball! Dayton, Ohio - Coming off final exams, the Western Carolina Catamount men's basketball team returns to action on Saturday night, on the road to face the Dayton Flyers at UD Arena. Tip-off is scheduled for 7:00 pm. Saturday night's game will be broadcast on the Catamount Sports Network and can be heard across Western North Carolina on WWCU-FM, Power 90dot5 in Cullowhee; 680 AM WRGC in Sylva; and 920 AM WPTL in Canton. Streaming audio is also available online at CatamountSports.com. Air time is 6:30 pm. The game will also be televised locally in Dayton on WHIO-TV. For the Catamounts, this weekend's trip marks the second-consecutive week the squad has ventured into Ohio, coming on the heels of last Sunday's 85-60 loss at No. 2 Ohio State at historic St. John Arena. WCU is looking to snap a four-game losing skid - the longest such winless drought for the team since 2006-07. ASHEVILLE — The Henry Logan fan who recently gave the local basketball legend seven scrapbooks that were more than 40 years old has been identified. In a Citizen-Times story last week, Logan — the Asheville resident who starred at Stephens-Lee High and Western Carolina — said he wanted to find and thank the fan who dropped the scrapbooks by his home over the summer. Logan, who is planning a book that will include articles and photos from the scrapbooks, was so excited to get the materials he forgot to get the guy's name and number. The fan is Rick Odom, a 66-year-old retiree who lives in Matthews, just outside of Charlotte. Odom was a sophomore at WCU in 1964 when Logan came to school as a freshman, and soon thereafter began keeping the scrapbooks. A draft agreement between Western Carolina University and the Village of Forest Hills calls for a referendum on mixed drinks, beer and wine if the tiny incorporated community agrees to help create a new “Town Center” for its large neighbor. Columbus, Ohio - Second-ranked Ohio State used an 11-0 first half run to break the game's only tie, blitzing Western Carolina in the first half to stay perfect on the season with an 85-60 win over the Catamounts at historic, on-campus St. John Arena. The Buckeyes (8-0) put five players in double figures including 17 from freshman Jared Sullinger who tallied nine from the free throw line as OSU scored 30 points in the paint and 22 from the charity stripe. Ohio State also forced 20 Catamount turnovers, scoring 20 points off of those miscues in the win. "We've not been a team with a lot of turnovers this year," opened WCU head coach Larry Hunter during post-game comments with the media. "I think our guys know a lot of (Ohio State's) freshmen class from AAU, and we almost gave them too much respect. We were aggressive on the boards. We have some athletic guys, we're just not big." COLUMBUS, Ohio (AP) - Jared Sullinger scored 17 points and No. 2 Ohio State came out of the blocks fast to beat turnover-prone Western Carolina 85-60 on Sunday. Ohio State broke free from an early tie with an 11-0 run and were never headed. They led by as many as 35 points before substituting freely. Mike Williams led the Catamounts (4-8) with 22 points, while Trey Sumler had 12 and Brandon Boggs 11. Perhaps the most telling stat at halftime was that the Catamounts had 14 turnovers. They had 11 turnovers in their first 18 possessions to fall into a hole from which they never recovered. The Buckeyes, meanwhile, didn't turn the ball over even once in the opening 20 minutes. Western Carolina is 4-6 overall with wins at DePaul, vs. Warren Wilson, at William & Mary and vs. Bradley. Losses were at Clemson, at UTEP, vs. Mercer and Gardner-Webb, at Samford and at Chattanooga. Senior guard Mike Williams, a native of Baton Rouge, La., is the team's lone player scoring in double figures (15.3 ppg.). He also leads the team with 37 assists, 22 steals, field goals made (58) and fouls shots made (31) and attempted (41). Ohio State and Western Carolina have never met previously in men's basketball. The Buckeyes are 9-4 overall vs. teams representing the Southern Conference. ATLANTA - Shooting just 21% for the game, Georgia State lost to Western Carolina, 51-37, on Saturday evening at the GSU Sports Arena. Playing without their injured leading scorer and rebounder, GSU still outshot visiting WCU, 57-41, but could make just 12 of those 57 shots. The Panthers shot 21.2% in the first half and then it actually got a little worse in the second half, making just 20.8% (5-of-24). Six-foot-two junior Chan Harris, who averages 14 points and 10.7 rebounds, while leading the conference in blocked shots, sat out with a foot injury. Western Carolina knocked down 45% of its shots in the first half to open a 27-16 lead, and even though the Catamounts went almost the first six minutes of the second half without scoring, still kept a double-digit lead the whole second half. BUIES CREEK — Marvelle Harris had 10 points, 14 rebounds and five blocks to lead Campbell to a 73-50 win over Western Carolina on Friday night. Martell Jackson added 15 points and Lorne Merthie had 12 for the Camels (5-3), who have won three in a row and five of the last six. Campbell took a 35-30 lead into halftime, then widened the gap to 42-30 while holding the Catamounts (4-7) scoreless the first 2:40 of the second half. Western Carolina got to 46-43, but Campbell used a 10-2 run to regain the momentum. Western Carolina University Athletics has commissioned a study to better serve its fans and corporate sponsors. The data provided is recorded in strict anonymity, and your personal identification is not associated with your demographic information. You must be age 18 years or older to participate. BUIES CREEK, N.C. - Looking for its fifth win in six outings, Campbell hosts Southern Conference member Western Carolina Friday in a 7:00 p.m. tip-off at the Pope Center/Gore Arena. Schools with two of the most unique nicknames square off Friday night. Western Carolina and Vermont are the lone Division I members nicknamed "Catamounts." Campbell is the sole D I school with the Camel as its mascot. Last year, the Catamounts claimed a 66-59 victory at Cullowhee behind Mike Williams' 16-point effort. Two days later, Western won at Louisville (91-83). Friday's contest marks the 25th between the schools in men's basketball since the 1962-63 season. However, the teams have met only once since the '90-91 campaign -- and never in Buies Creek. CU's last "home" game against Western was an 85-73 Camel win on Jan. 7, 1991 in Fayetteville's Cumberland County Civic Center. Campbell "hosted" the Catamounts seven times in Fayetteville (winning three) and once in the old Raleigh Civic Center (an 87-60 setback Feb. 1, 1982). CULLOWHEE, NC - Behind a dominating advantage on points in the paint and three double-figure scorers, the Charlotte 49ers (7-2) overpowered the Western Carolina Catamounts (1-6), 66-51, on the road for their fourth straight double-figure win. "I was proud that we were able to get a win," Charlotte coach Karen Aston said. "I thought we would be lethargic tonight after how sluggish we looked in shoot around earlier today. However, it is good to win by 15 points without playing your best." COLUMBUS, Ohio Representatives from the Ohio State University say expect heavy traffic Sunday as thousands attend two big events. Autumn quarter commencement and a men’s basketball game start at the exact same time Sunday. The Basketball Buckeyes play Western Carolina at St. John Arena at 2 p.m. while graduates receive their degrees at the Jerome Schottenstein Center. Ohio State representatives said they expect around 30,000 people on campus at that time, which means highways, campus streets and parking facilities will be crowded. CHARLOTTE, NC - The Charlotte 49ers women's basketball team (6-2) puts their three-game winning streak on the line when they face Western Carolina (1-5) on the road, Wednesday, December 8 at 7 pm. For the twelfth time in school history, the 49ers have started the season with at least six wins in their first eight games. Charlotte leads the all-time series against Western Carolina, 21-7. The 49ers have won nine straight in the series which dates back to the 1977-78 season. Charlotte defeated Western Carolina, 64-62, in their last meeting which came in Halton Arena, December 8, 2009. Former 49ers standout Ashley Spriggs led the 49ers with 18 points. Holmes scored 14 points for the 49ers. Charlotte is 72-32 all-time against teams currently in the Southern Conference. Charlotte has played Appalachian State, Western Carolina, UNC Greensboro, Elon, College of Charleston, Furman, Davidson and Georgia Southern in their program's history. CULLOWHEE, N.C. - Western Carolina women's basketball (1-5) completes its three game home stand hosting Charlotte (6-2) at 7 p.m. Wednesday in the Ramsey Center. The Catamounts will begin a three-game road stint, with contests at Georgia State (Dec. 11), and Southern Conference foes Elon (Dec. 18) and Appalachian State (Dec. 20) before taking a break for the holidays. Western Carolina will return home on December 28 to host Colorado State at 7 p.m.
On Wednesday, December 8th, 2010 @ 7:00 pm the Charlotte 49er (6-2) women's basketball team travels up the mountains to the Ramsey Center to take on the Catamounts (1-5). The Western Carolina track and field teams completed in the ASU Collegiate hosted by Appalachian State on Dec. 3-4 in Boone, N.C. Between the two squads, the Catamounts had a total of 21 top-five finishes and had five individual race winners with three on the men's side and two on the women's side. Both teams also won their respective 4x400 relay races. “The same basketball team that lost by 41 points at Louisville, then by 12 at home to Jackson State and by 21 at Florida International is in first place. Yes, the University of Tennessee at Chattanooga is in first place. The Mocs are in that position in the Southern Conference North Division after holding off Western Carolina 67-65 on Saturday in McKenzie Arena. CULLOWHEE, N.C. -- Alexa Deluzio scored 12 points, and No. 15 Florida State pulled away late in a 68-48 victory against Western Carolina on Saturday. Western Carolina pulled to 50-46 on Hunnicutt's free throw with 9:31 left, but managed just one field goal the rest of the way. The Seminoles scored 14 straight points over the next 6:42. Diamond Hunnicutt scored 13 points to lead Western Carolina (1-5). The Catamounts shot just 23 percent in the second half but were denied the program's second victory over a nationally ranked opponent. No. 14 Seminoles play at Western Carolina Saturday afternoon at 2 p.m. The No. 14 Florida State women's basketball team will look to rebound Saturday afternoon as it plays at Western Carolina. Tip-off is scheduled for 2 p.m. The Seminoles (6-1) are coming off their first loss of the season in a game that saw No. 25 Michigan State score 28 points from 24 FSU turnovers in a 72-64 win on Wednesday. BIRMINGHAM, Ala. -- Gregg Wooten scored a career-high 14 points, Jeffrey Merritt and Josh Davis added 12 each to help Samford earn a 63-58 victory over Western Carolina on Thursday night in the Southern Conference opener for both teams. Mike Williams scored 20 points and grabbed 10 rebounds for Western Carolina (4-5), which failed to break the 60-point plateau for the first time this season. The WCU at Samford game is listed on ChannelSurfing.net at 8 pm. “Traveling from Asheville to Cullowhee on Tuesday night was not easy. Rain, sometimes so heavy it was hard to see 10 feet in front of the car, was a companion all the way to the campus of Western Carolina where the men's basketball team was playing host to Bradley. The 2010-11 season marks Samford's 3d year as a SoCon member, and the Cats hold a 5-1 advantage over the Bulldogs all time, with the Cats having won the last 3 straight games played since Samford joined the conference in 2008. Both teams are coming off a win, Samford over Georgia State 70 - 61 and Western over Bradley, 66 - 65. Head Softball Coach Christine Hornak announced the 2011 softball schedule on Tuesday, "We are thrilled to have the opportunity to have 12 home dates for the 2011 season," Hornak said. "We are looking forward to a good mix of challenges throughout our schedule as we prepare for each of our SOCON opponents." The Softball Cats will play in four tournaments to open the 2011 season, with 12 home dates scheduled with non-conference & conference opponents. The first home game of the season will be a doubleheader against UNC-Wilmington on March 14 at 3 p.m.
Wins over CAA and Missouri Valley Conference opponents highlight this past week’s Catamount Basketball. The Cats big win over William & Mary snapped a two game road slide with a rout of the Tribe, 64-39 in the final game of the Williamsburg sub-regional of the Legends Classic Sunday night. Then on Tuesday, the Catamounts returned to the friendly confines of the Ramsey Center to take on the Bradley Braves of the Missouri Valley Conference. The Cats rallied to over take a double digit in the final minutes, then held on to win by a score of 66-65. The Catamounts have won eight-straight home games over nonconference opponents at home in the Ramsey Center and has won 12 of the last 14 overall. The Cats have now won 29 of its last 33 home games and over the past three seasons, they are 27-4 in the Ramsey Center. Missouri Valley’s Bradley University travel to Cullowhee on Tuesday for a 6 pm clash with the Catamounts. This will be the final home game of 2010 for the Cats. The Braves are 4-2, and are coming into this game with 2 straight losses, after wins over Southern Cal and TCU in the Hall of Fame Tip-Off Tournament. The Cats (1-3) will host the first of three home game and open conference play on Monday, 11-29-10 in Cullowhee at 7 pm when they host conference foe Samford (3-2) in the RAC. The women’s team will be looking for their first home win of the season, with Samford holding a 3-2 edge over the Cats since joining the SoCon. The Cats have not defeated Samford in Cullowhee, with both wins over the Lady Bulldogs coming at Samford or on a neutral court. The Cats lost in the first game of the Legends Classic sub-regional round held in Williamsburg, Virginia on Friday evening to the Mercer Bears, by a final score of 71-66. The Catamounts are now 2-3 on the season. Western Carolina continues play in the Legend's Classic on Saturday afternoon against Gardner-Webb, with a start time of 3:30 pm. The Bulldogs fell by one point, 56-55, Friday night to the host William & Mary. WCU trails in the all-time basketball series with the Runnin' Bulldogs, 5-6. Saturday's game against the Bulldogs will be broadcast on the Catamount Sports Network starting with the pregame show at 3:00 pm. I certainly hope each and everyone one of you had a very Happy Thanksgiving Day. I hope the food, family and friendship was as good at your house as it was at mine. Western Carolina announced today that Catamount head football coach Dennis Wagner has relieved third-year offensive coordinator Keith Heckendorf of his coaching duties. It was also announced that Coach Wagner would assume the role of offensive coordinator for the 2011 season. WCU senior defensive back Mitchell Bell and junior punter Blake Cain were both named to the second team All-SoCon squad, it was announced by the conference office today. Three first-year WCU players were named to the SoCon All-Freshman team. 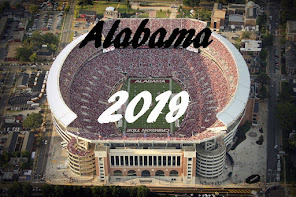 Redshirt freshman defensive back Randy Pressley, who made a successful transition from quarterback to defense this season, redshirt freshman wide receiver Deja Alexander and true freshman Sidney Rhodes were all named to the first-year player honorary squad. In Sub-Regional Round play, The Tribe of William & Mary will host Gardner-Webb, Mercer, and the Western Carolina Catamounts in three days of doubleheaders beginning on Friday, November 26th. The Catamounts will play Mercer on Friday, Gardner-Webb on Saturday, and ending with host William & Mary on Sunday. The Catamounts (1-2) host the Warren Wilson Owls (3-4) in the first-ever meeting in men's basketball between the two schools. The Cats are coming off a road win at DePaul last Tuesday before falling at UTEP in the opening round of the Legends Classic, 77-65, on Saturday. The Owls have dropped three games after winning their first three. The Owls lost to Milligan College, 95-65, back on Nov. 16 before dropping consecutive games in the Roanoke College Classic to Ferrum, 72-56, and to the the host Maroons, 88-63. Tip-off on Monday night is set for 7:00 pm. For our friends in California….. great job Matt. The 2010 Catamount football season ended on the same note it started. On the road and on the low side of a blowout. Back in early September, the Catamounts traveled to Raleigh, NC and returned to Cullowhee with a 7-48 loss to the Wolfpack. On Saturday, the Cats traveled east once again, and returned with basically the same results, a 14-45 blowout. Only this time, it was at the hands of Elon University. The football Catamounts are finishing up the 2010 season with a pitful 2-9 record, losing to a Division II school, no home field wins, and tied with The Citadel for the worst overall record in the Southern Conference. In case you’ve forgot, this is the 5th straight season the Catamount football team has finished with 9 or more losses. Is anyone being held accountable in Cullowhee? I think we all know the answer to that question. Gary Ayers interviews Dennis Wagner. The Gold Team rallied from one game down to take the final two games over the Purple Team in the best of three series to win the WCU Fall World Series at Hennon Stadium in Wednesday night's finale. "Overall, I thought it was a very competitive set of World Series scrimmages," said WCU head coach Bobby Moranda. "There was a lot of enthusiasm and a lot of energy. I am looking for that type of activity to carry over into the spring in our quest for a Southern Conference championship." The coaching staff selected a pair of MVP's for the fall series. Julian Ridings was named offensive MVP while Jordan Smith was tabbed pitching MVP. Ridings is a Shelby, N.C., native and hit 4-for-8 with a pair of doubles, driving in seven runs during the three-game series. Freshman right-hander Jordan Smith is from Liberty, N.C., and worked five innings of two-hit baseball, striking out three without a walk in securing the win which evened the best-of-three series. The Fall Series concludes practice for this year, but first pitch for the new season is scheduled for Friday, Feb. 18 against Morehead State in Cullowhee. The Catamount will travel to El Paso, Texas for a game with the University of Texas at El Paso on Saturday, November 20th. Lead by 1st year head coach Tim Floyd, the 1-1 UTEP Miners enter the game with high expectations for the season based on the play of senior guard Randy Culpepper . Culpepper, is 6-0, 165 pound product of Sheffield High School in Memphis, TN and ranks 4th in UTEP history with 1664 points and second with 180 steals. He has scored 20+ points 28 times in his career and 30 or more on five different occasions. A bright spot on an otherwise dismal volleyball season is the selection of WCU’s Morgan Cochran on the SoCon’s All-Freshman Team. Morgan is the first WCU player to earn the honor. The women’s basketball team played their final game in UNC-A’s Justice Center defeating the Bulldogs by a score of 78-59 Wednesday night. Emily Clarke came off the bench to score a season high of 22 points in the game and is now just 2 points shy of the 1,000 career point mark. Eleven of the 12 players on the Catamount roster saw action in the game, while the Cats out rebounded the Dogs 43-34 and scored 34 points in the paint, with 24 points coming off Bulldog turnovers. The Catamounts will travel to Chapel Hill to play ACC foe UNC on Sunday at 3 pm. The Cats' trip up to the Allstate Arena on Tuesday resulted in the second win over a Big South team in as many seasons. The Cats traveled to Louisville’s Freedom Hall last season for their first ever win over a Big South team. In Tuesday’s game, Harouna Mutombo lead the scoring for both teams with a game high of 17 points, while freshman Brandon Boggs posted his first career double-digit scoring outing. The Cats opened the second half with an 11-to-2 run that saw the Cats build a 21 point second half lead. The Catamounts outrebounded the Blue Deamon’s 48-34, and forced 12 turnovers. Head Basketball Coach Larry Hunter announced the signing of four student-athletes to National Letters of Intent to play for the Catamounts beginning in the 2011-12 season today. Three high school seniors and one junior college transfer make up the early signing class. Seniors Kenny Hall (Dallas, Tex. / South Oak Cliff HS), Rawane Ndiaye (Raleigh, N.C. / Body of Christ Academy) and James Sinclair (Savannah, Ga. / Savannah HS) and transfer Josh Mendenhall (Waycross CC / Berea HS / Greenville, S.C.) will play for the Catamounts next season. Head Women's Basketball Coach Karen Middleton announced the signing of three players to National Letters of Intent (NLI) to play for the Catamounts in the 2011-12 season. The three high school seniors signing were: Makensey Campbell (Sullivan South High School, Kingsport, Tenn.), Ali Lane (Charlotte Catholic High School, Charlotte, NC) and Nancy Thacker (Fort Chiswell High School, Max Meadows, Va.). "We are extremely excited to have Ali, Nancy and Makensey officially join the Catamount family today," Middleton said. "They are very special young ladies that will make a difference in our program, on campus, and in the community. As a class, they are good scorers, hard workers, team players, and exceptional students. They have high basketball IQ's and each have a passion to play the game. " The Catamounts travel to the Allstate Arena (18,500) in Rosemont, Ill., to face the DePaul Blue Demons at 7:30 pm CT / 8:30 pm ET on Tuesday, Nov. 16th. DePaul returns 10 players including three that started at least 17 games, with Mike Stovall the top returning scorer (7.0 per game). DePaul was picked to finish 16th the Big East Conference. Clemson used a strong inside performance, outscoring the Catamounts 42-to-14 in the paint to win by a score of 87-64 on Saturday in Clemson, SC. ‘We're a very young team. We're evolving and getting better. This was a tall order for us to start with. We graduated five seniors and we're just re-tooling," said head coach Larry Hunter during his post-game comments. "I'm not really pleased, but I'm not too discouraged." The Cats fell to 0-11 all-time against Clemson. For the first time since moving to Whitmire Stadium in 1974, the Catamounts will not win a home game during an entire football season. With home losses to Tusculum, Chattanooga, Samford, Appy State and finally Georgia Southern (28-6), the Cats are now 0-5 at home this season. The 16-game losing streak to GSU is now the longest losing streak between current SoCon members, surpassing Elon’s 15-game losing streak to Appalachian State. The Cats seem to be well on their way to another 9 game loss in a season. Western Carolina travels to Littlejohn Coliseum on the campus of Clemson on Friday night to open the 2010-11 season against the Tigers. Tip-off is set for 8:00 pm. The Cats are 37-27 in season openers, including a 18-15 mark since joining the Southern Conference in the 1977-78 season. but are just 3-12 away from Cullowhee in season openers, including a 2-2 mark on a neutral court. WCU women’s basketball will open the 2010-11 season in the Ramsey Center on Friday night at 7 p.m. against the University of Richmond. The Cats opened last season with the Spiders, with a 42-65 loss in Richmond. This is the second ever meeting with the Spiders. The Cats 29 game schedule includes 15 home games and 14 games on the road, with the first 7 games being played inside the state of North Carolina. The Catamount Club will be coordinating an Away Game Tailgate at Furman University for Saturday’s Football game. We are very grateful for the generosity of Kenny Messer and Melanie Clark as well as Bill and Malissa Hawkins for hosting this week’s Tailgate Party. All Catamount Club Members are invited and we look forward to seeing everyone after the week off. Tailgate Location: Grassy Area by the CHAPEL PARKING LOT adjacent to the Visiting Team Stands. Tailgate Start time: 10:30 a.m.
Football Game Start time: 12:30 p.m. In the upcoming WCU @ Furman football game, I thought it would be interesting to look at the stats of how both Western and Furman did against a common opponent – ASU. Since the Mountaineers were the last opponent for both teams, seeing how they compared against ASU, might give us some insight how Saturday’s game will play out. Obviously, in many areas, the Catamounts put up better numbers against ASU, only meaning that we should be able to compete against Furman. If the Catamounts can control their turnovers (fumbles and interceptions), they just may come home with their second Southern Conference win. In last week’s Furman/ASU game, heading into the 4th quarter, with Furman down only 8 points, the Mountaineers fumbled on the Paladin 4 yard line. The ball bounced into the end zone and as Furman’s Max Lerner dove for the ball, he was hit from behind by Cadet. The ball hit off Lerner's hand and went out the back of the end zone for an apparent touchback. However, the linesman flagged Furman for “illegal touching” - ruling that Lerner had intentionally knocked the ball out of the end zone. ASU was awarded the ball and first-and-goal at the Paladin 1 yard line. Cadet followed up the by scoring on the next play to give the Mountaineers a 35-20 lead with 9:27 left in the game.